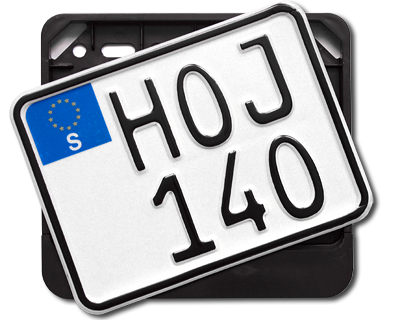 Get your own swedish mc-plate! The license plate is made of reflective white aluminum. 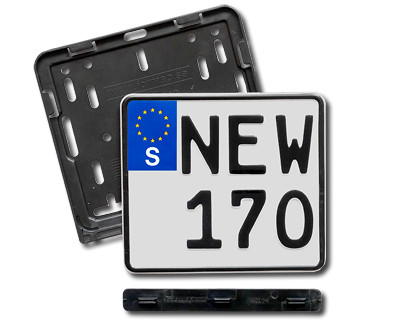 The plate has the same size as the new Swedish MC-plate which was introduced in 2014 ie. 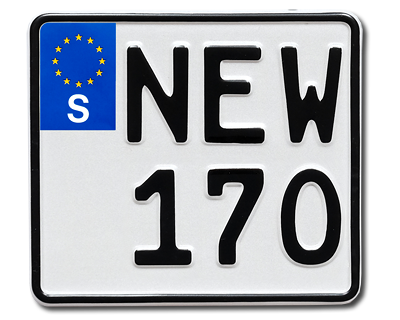 170 x 150 mm. Max 3 characters per line. Embossed letterings. The related plateholder is included in the price. 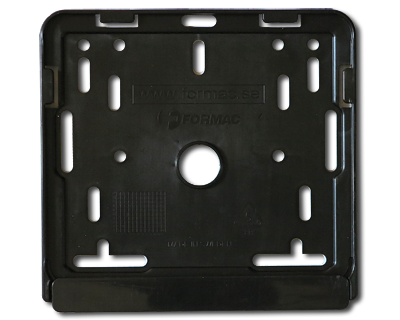 The plateholder is made of black plastic. The S-sign decal is included when purchasing this offer.